Women, Find Time to Pamper Yourself! As women, we are always putting ourselves last. We cater to the needs of our ailing parents, our significant others, and our kids; but by the time we get around to ourselves it is either to late in the day or we are just to exhausted. We can find time for ourselves by including ourselves in our daily schedules. In doing so we will begin to relieve the stress associated with the hustle and bustle of everyday life. 1 - Create a spot in your house where you can have "ME" time. Once you have created you "ME" time spot. Set aside daily time to meditate, read a good book, watch your favorite show, or just have some quiet time, if even for a few precious minutes a day. 2 - Create a spa experience in you bat tub. Use your favorite bath tea or bath salt in you bath water, light some candles and listen to some soft soothing music such as Jazz. 3 - Treat yourself to a weekly spa treatment. Many of these you can do at home yourself such as facials, body polishes, manicures, and/or pedicures. 4 - Invite your girlfriends over for a spa party. There are many companies that are now bringing the spa experience into customer's homes and offices. Do an internet search on spa parties and contact the ones that interest you. 5 - Light a lavender candle or spray a lavender scented mist in your "ME" area during your scheduled "ME" time. Lavender helps to create a calming and uplifting effect. By following the above listed suggestions you will in no time begin to feel de-stressed and re-energized. 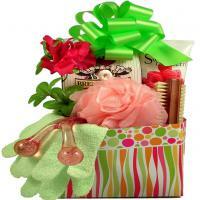 Adorable Gift Baskets offers relaxing bath body gifts and stress relief gifts for women. 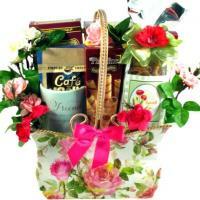 Buy her gift baskets filled with pamper spa products and luxurious bath and body gifts and presents for women. Feeling beautiful is a luxury every woman deserves. Women love to brag about their man when he makes them feel special. Consider these miracle working gift ideas to make her adore you. Serve her breakfast in bed, send her pampering bath and body spa products, candles, chocolates, flowers and pretty things to let her know she's special. When you need to buy a gift for your wife, mother, girlfriend, or a female friend or co-worker, look no further. Adorable Gift Baskets has the perfect solution. With unique gift baskets for her delivered to her door, she'll surely bubble with enthusiasm! 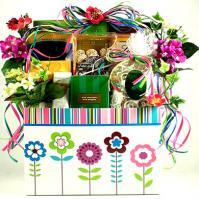 Women love to receive pamper bath gift baskets filled with aromatherapy scents and soothers. Pamper that special woman in your life. Women like thoughtful gift baskets for any gift-giving event or occasion such as holidays, birthdays, anniversaries, to express thanks, to cheer a loved one, employee appreciation, and just because. In addition to bath and body products our gift baskets for her can be filled with gourmet snacks, chocolates, nuts, fruits, crackers, coffee, tea, and other edibles. Use the element of surprise and have a gift basket delivered when she least expects it. 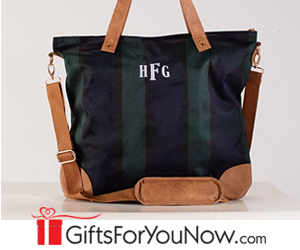 That special lady of your life is sure to love your thoughtfulness! And at Adorable Gift Baskets, you can share your love - in a basket - easily with our simple online ordering and timely shipping.